The solution is simple for How to start QuickTextPaste minimized to tray! 1.) ... Start QuickTextPaste always Minimized to-tray in Notifyicon Area! 2.) ... 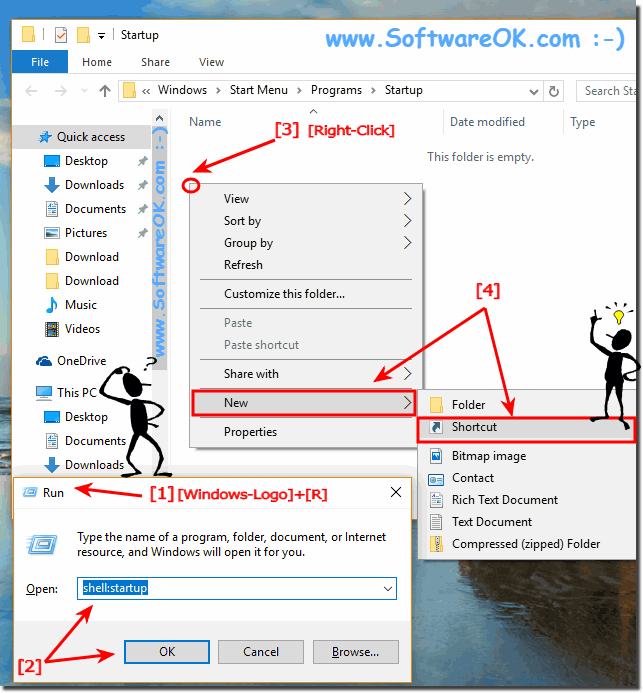 Create a Shortcut in Autostart Folder for a minimized start in tray! See also: Maximize QuickTextPaste to see more information || Date Time Format in QuickTextPaste ! 1.) Start QuickTextPaste always minimized to-tray in Notifyicon Area! Please start QuickTextPaste and select Options plus activate Always start minimized (ToTray). (Image-1) Start always minimized the QuickTextPaste! 2.) 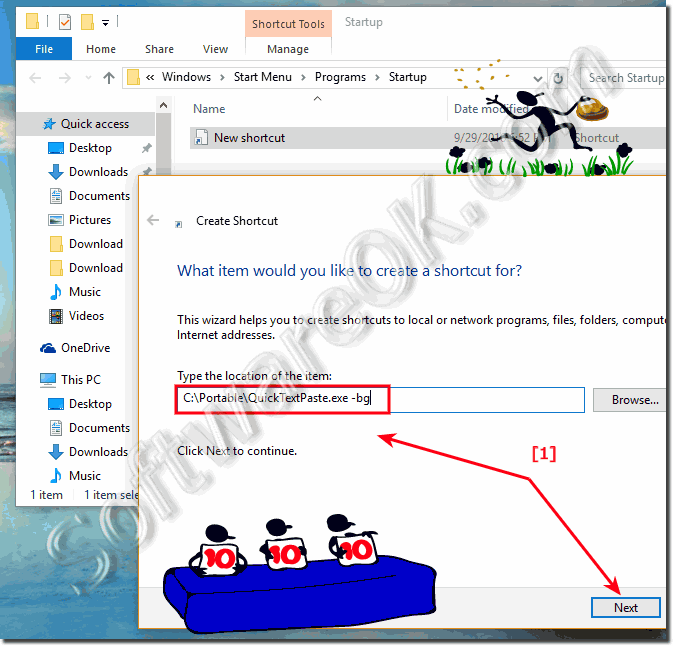 Create a Shortcut in Autostart Folder for a minimized start in tray! And now enter the location eg full path of QuickTextPaste and don't forget the -bg program parameter! (Image-2) Auto start shortcut for minimized of QuickTextPaste! (Image-3) How to start QuickTextPaste minimized to tray? QuickTextPaste - FAQ-17: How to start QuickTextPaste minimized to tray?